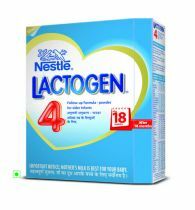 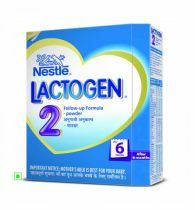 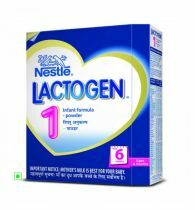 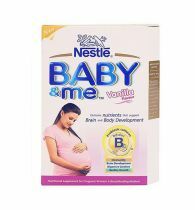 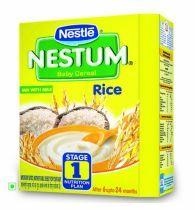 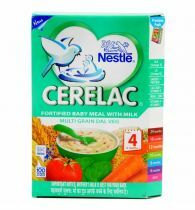 NestleCERELAC Shishu Aahaar Stage 2 Wheat-Rice Moong Dal Veg Khichdi is a complementary food for babies after 8 months of age when breast milk alone can no longer totally cover the baby's growing nutritional requirements. 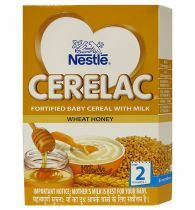 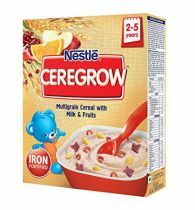 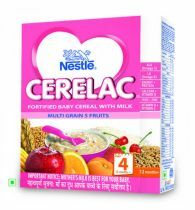 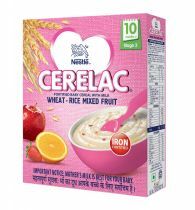 Each serve of CERELAC provides the goodness of cereal with 18 important nutrients. 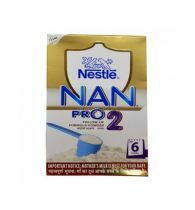 Water, Green gram flour, Rice Flour, Wheat Flour, Ghee, Rice crunchies, Toamto paste, Soyabean Oil, Minerals, Sucrose, Spinach crunchies, Vitamins. 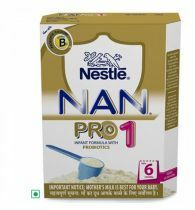 Boil drinking water for 5 minutes. 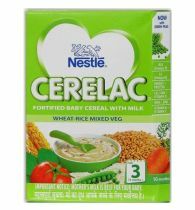 Leaves it till lukewarm. 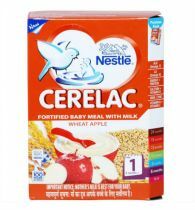 Pour necessary quantity of lukewarm water into a bowl or plate stir in recommended quantity of cerelac, untill pap is smooth. 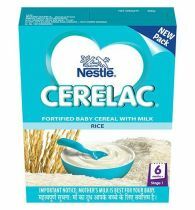 Feed your baby with a clean spoon.